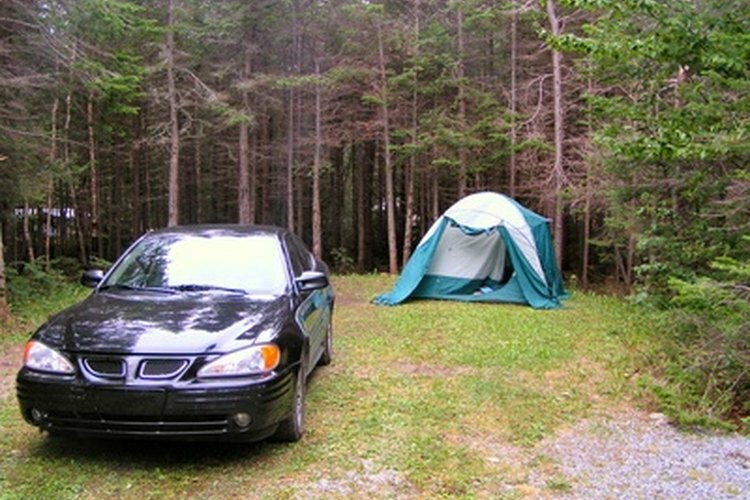 Some campgrounds offer discounts to AARP members. AARP, a nonprofit organization that “helps people 50 and over improve the quality of their lives,” offers travel-related benefits including discounts at certain campgrounds. Download AARP's mobile app for up-to-date benefit and discount information. Show a valid AARP card at check-in and get a 10 percent discount on RV site rates at Four Paws Kingdom Campground. The discount may not apply to rates that are already discounted. This North Carolina campground caters to customers with dogs and offers amenities like a dog pond, a park where dogs can run off their leashes, and a canine bathhouse with a grooming station. The 34-acre campground is in the foothills of the Blue Ridge Mountains and offers RV sites, camping cabins and travel trailers you can rent. Rancheros de Santa Fe Campground offers a 10 percent discount for AARP members. The facility is next to the Santa Fe Trail and offers RV sites, tent sites and camping cabins. It spans 22 acres and features open and wooded camping venues. In the summer, guests can enjoy a large heated outdoor pool, as well as nightly movies. AARP members going to enjoy the scenic natural historic landmark known as Natural Bridge enjoy a 10 percent discount when camping at Jellystone Park at Natural Bridge. The campground on the James River in Virginia’s Shenandoah Valley offers a variety of cabin rentals and campsites, including locations in the woods and by the water. Amenities include a water slide, swimming lake and miniature golf. Your AARP membership can save you 10 percent at on camping fees at Cherry Hill Park in College Park, Maryland. Campsites include tent sites plus back-in and pull-through RV sites with water, sewer and electric connections, but it's the entertainment amenities that really make this campground shine. Your options include two outdoor swimming pools, a spray park, a kids' rafting river, miniature golf, batting cages, arcades and an outdoor movie theater. Save 10 percent with your AARP membership when you stay at Tall Pines RV Park in Shreveport, Louisiana. The park offers pull-through RV sites and camping cabins. Amenities at the park include a fitness center and dog park which has separate areas for large and small canines.